It is a big device: The Apple iPhone 6 Plus is clearly a difference with its much bigger footprint, but the Google Nexus 6 is still a bigger alternative with its 6-inch display. As comparison, the Samsung Galaxy Note 4 has 5.7-inch display and iPhone 6 Plus has 5.5-inch display. Studies show that multimedia users, gaming enthusiasts and Internet users prefer larger displays for improved experience. Watching movies and browsing the web on larger display is more convenient. More games and apps are being tailored for devices with bigger display. The Nexus 6 doesn’t only offer bigger display, it also has Quad HD resolution and AMOLED panel that ensure higher sharpness than the iPhone 6 Plus. Good design: Motorola is the actual manufacturer of Google’s Nexus 6 and device comes with Moto’s trademark rounded design. Despite being quite large, the Nexus 6 is still ergonomic. Compared to the Apple iPhone 6 Plus with its squared design, we should be able to hold the iPhone 6 Plus quite comfortably. Unlike the all-metal competitors, the Nexus 6 is less likely to slip out of our hand with its plastic matte finish. It is easy to reach the volume button of the Nexus 6, because Motorola repositions it nicely. There have been obviously some thoughts made into how people should interact with the Nexus 6. Excellent performance: The Google Nexus 6 comes with the powerful 2.7GHz Qualcomm Snapdragon 805 quad-core processor. It means, the phone is comparable with the Samsung Galaxy Note 4 and LG G3, which have the same kind of processor. Accompanied with 3GB of RAM, the Nexus 6 should provide excellent multitasking capability. It should be able to handle anything we throw at it, including hardware-intensive games. Stock Android version: Many smartphone makers offer nice custom UI on top of the Android operating system. However, purists may want to choose only the stock version. The Nexus 6 runs the Android 5.0 Lollipop and it comes with multiple new features, such as unlocking with trusted, paired devices and improved battery management. There are also the Material Design and improved Google cards. Menus and icons are redesigned with a burst of extra colors and brightness. Icons are now flat, sharp and detailed. The splash animation that is triggered when we tap on icons and swipe around the menu makes it feel like that we are pushing our finger into a puddle. The Android 5.0 is obviously Google’s most intuitive and user-friendly operating system yet. The Google Cards will shape how the future Android version will work. It is featured heavily in the operating system, like from the way appoints and calendar events are displayed. Aside from the extra features and improved redesign, the Google Nexus 6 comes with an Android version in its most original state with no foreign UI plastered on top and no bloatware like we would get from a Samsung or HTC device. It means that users would get the first opportunity to obtain OS updates and they can also use the Material Design. Turbo charging: Turbo charging is one of the most significant features of Android 5.0. The Snapdragon chipset comes with the built-in Quick Charge 2.0 capability and users could get 6 hours of battery life with only 15 minutes of charging time. Granted, the Google Nexus 6 may not be for everyone. Some people could find the 6-inch display rather difficult to manage, especially if they are used to smaller models. Oversized smartphone models like the Nexus 6 is still a matter of taste and not everyone would find it desirable. For this reason, users should go to store and try the demo unit before they consider purchasing one. There are also some criticisms on the camera quality of Nexus 6, especially when users take photos in low light situation. The Android 5.0 also lacks more comprehensive photography-related software. However, there are many apps in Google Play store to enhance the overall photography performance. 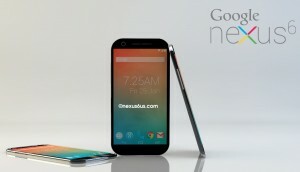 In addition, the Google Nexus 6 is among the expensive devices in the family. Previously, Google defied market logic by releasing high-specs devices with relatively reasonable prices. The Nexus 6 with 32GB internal storage is available for $649, which isn’t cheap. However, it is still more reasonable than the iPhone 6 with 32GB storage at $849.